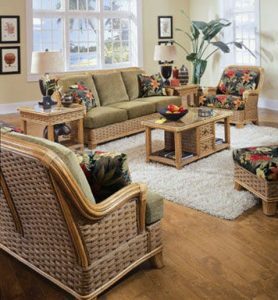 Wicker and Rattan is ideal for nearly any room in your home! 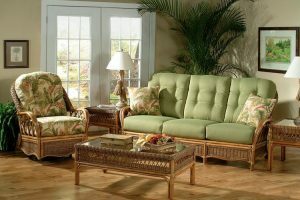 It is comfortable and carefree! 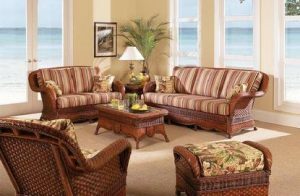 Choose from hundreds of fabrics and dozens of frame finishes. 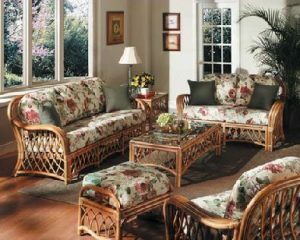 Frames are beautifully crafted from natural RATTAN (a renewable resource) and intricately woven of rattan core to last a lifetime. 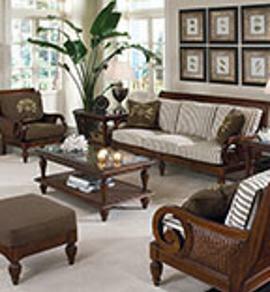 CUSHIONS are reversible (everyday use side and company side) and easily recovered or replaced. Child and pet-friendly! 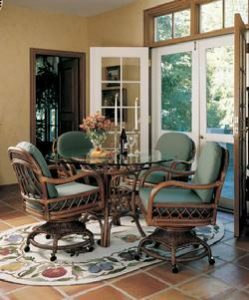 We recommend SUNBRELLA® fabrics (the most fade resistant and easily cleaned fabric in the world) in locations where fading is an issue! Create an “island” look in your Master bedroom or Child’s bedroom… a light and airy feel in your Great Room… let your mind wander.